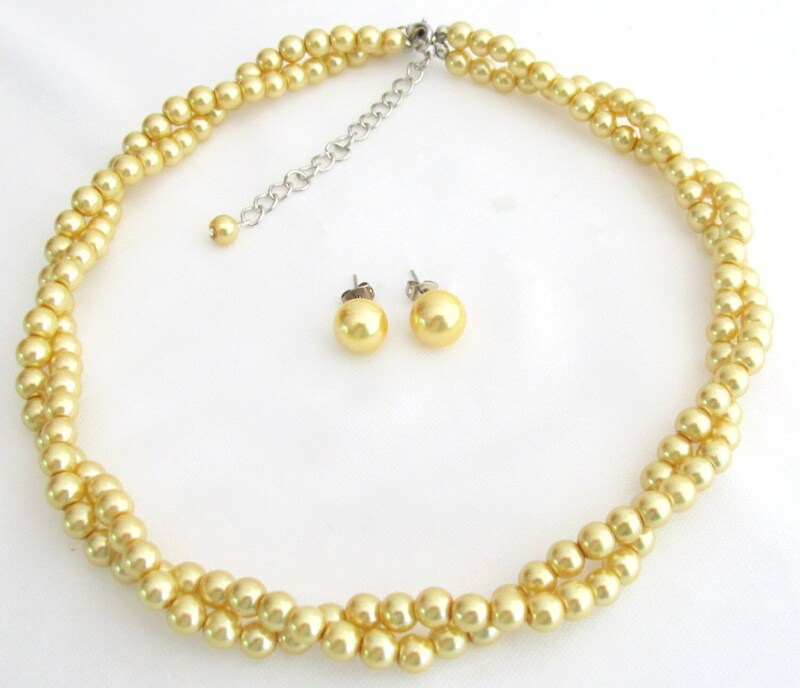 Wedding Jewelry Twisted Statement Necklace, Wedding Bridal Jewelry, Bridesmaid Necklace Gift twisted necklace in Sunshine Yellow pearls Two strand twisted necklace come with Yellow stud earrings and cute dangling pearl at the back of necklace extension. It is fabulous! 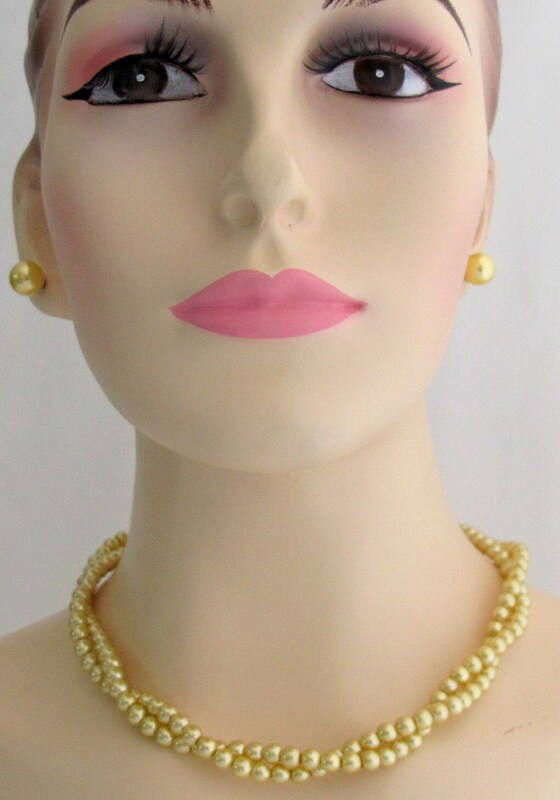 It boasts a ton of flawless & luminous pearls Two strands twisted statement necklace & earring would be gorgeous jewelry. Pretty upset with this product. 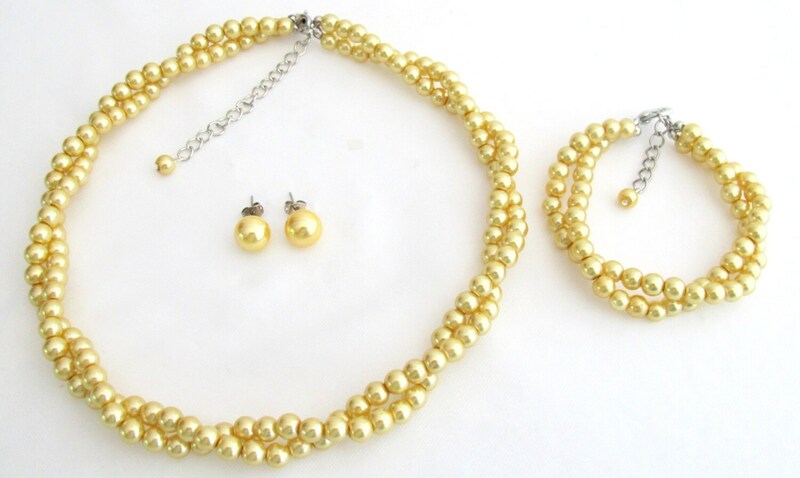 I was really excited - had been looking for a yellow necklace for a while. It looks nice, but it is definitely not the yellow in the picture - it's more of like a gold - I tried taking pictures in different light to show how the color - but it appears Etsy only allows you to post pictures if you are giving something 5 stars. Anyway, seems like nice jewelry though - just be careful if you want a certain color - mine was for my wedding. The color and the elegance. Absolutely gorgeous! I am so happy I bought them; they look great! It is a beautiful necklace! I am so happy how it looks!